The Hudson Bar Stool by Hillsdale provides a fresh, whimsical way to add a little touch of nature in your life. 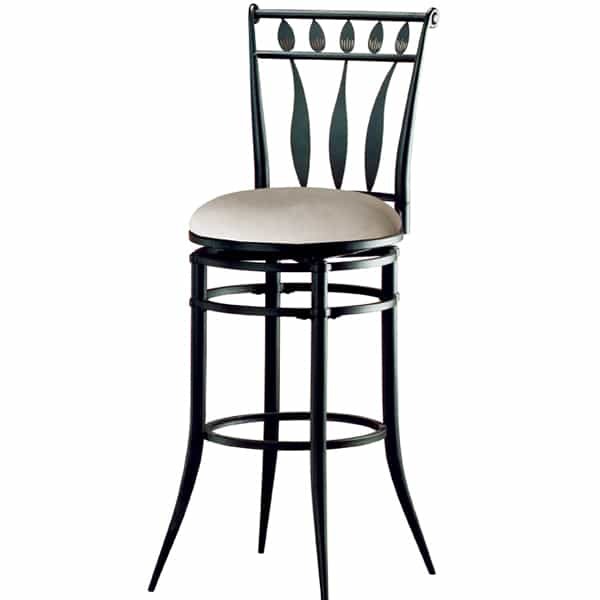 This charming steel swivel stool offers a stylized leaf motif to cheer up your kitchen counter or home bar. The upscale matte black finish and contrasting sueded fabric in stone keeps the Hudson looking sophisticated while Hillsdale’s 360 degree swivel provides comfort and convenience. The Hudson is available in both counter and bar heights.